The Milwaukee HD28 IW Heavy-Duty Impact Wrench has a 28 volt, high power Milwaukee® motor to deliver an impressive 440 Nm of torque. It has a durable, lightweight magnesium gear case for extended life and comfort, and the variable speed trigger enhances control and accuracy. 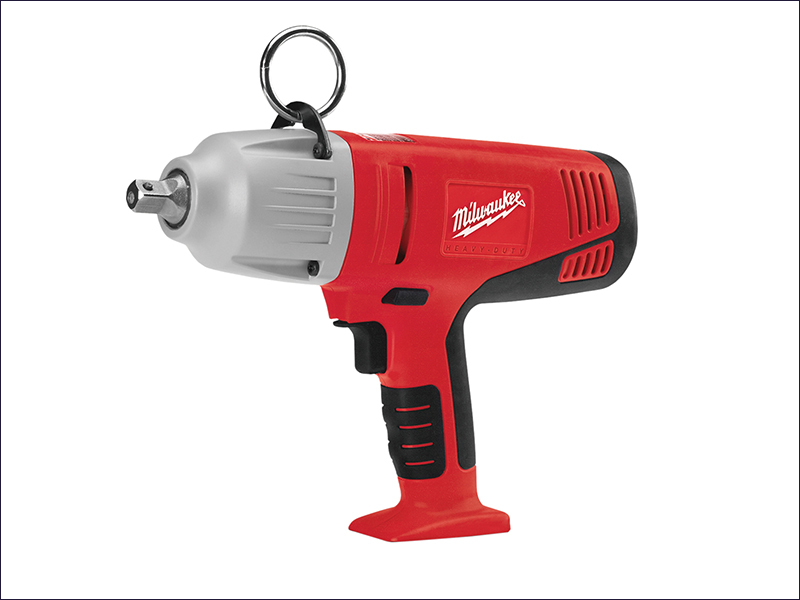 The impact wrench has a 1/2 inch square drive with detent pin for secure socket retention. Non-slip gripping surfaces provide maximum comfort and control, whilst an exclusive reversible battery pack design provides optimal tool balance. A hanger bracket and heavy-duty steel ring are included for convenient tethering when working high overhead or for raising/lowering the tool when working from a ladder or utility pole. Bit Holder: 1/2 inch square. No Load Speed: 0 - 1,450/min. Impacts per Minute: 0 - 2,450/min. Naked batteries and charger NOT included.